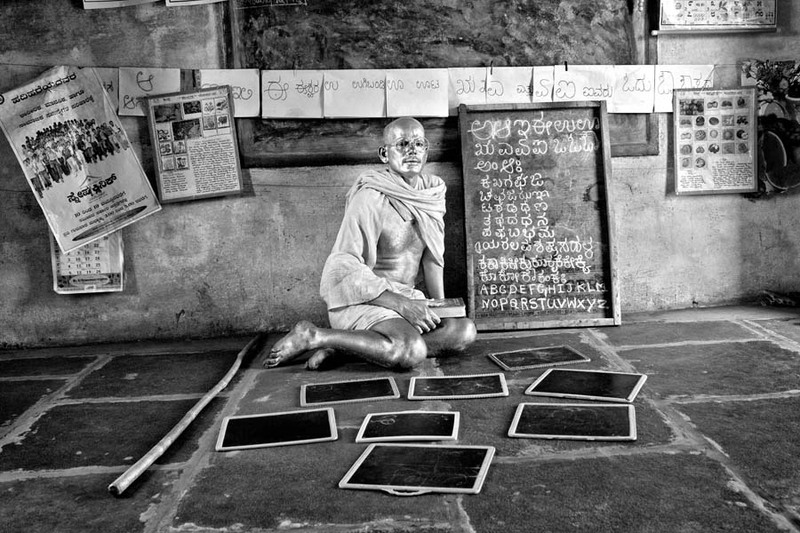 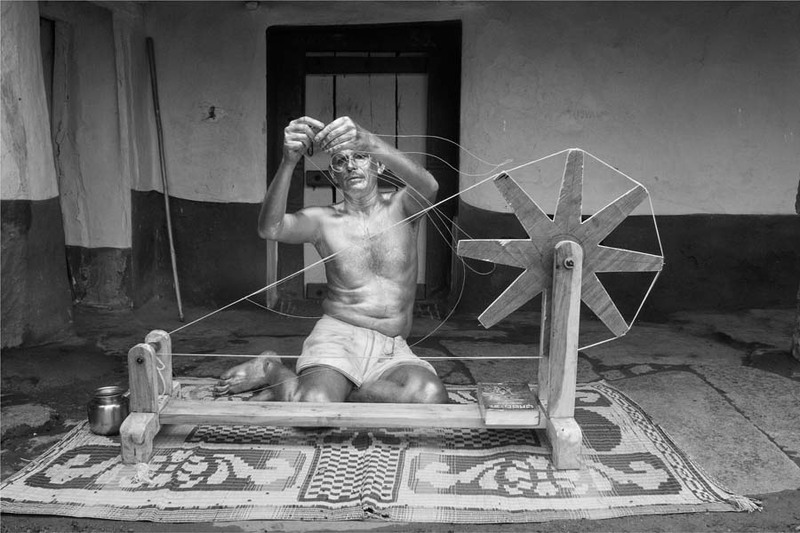 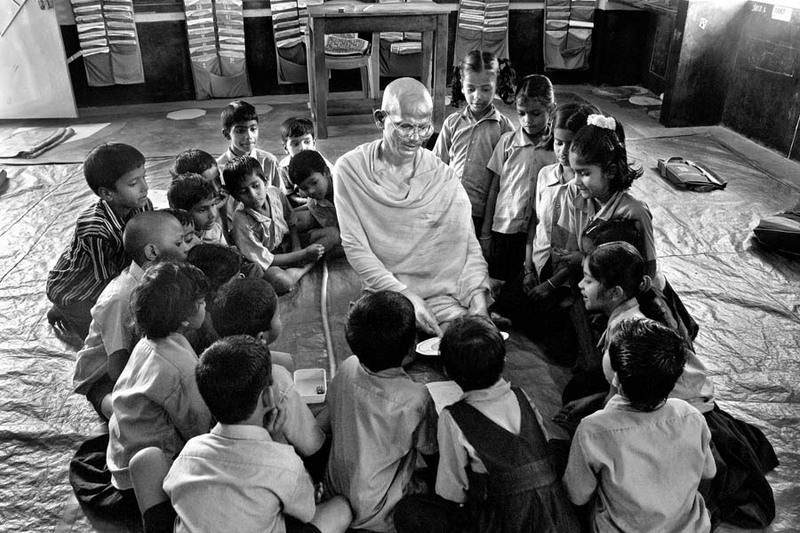 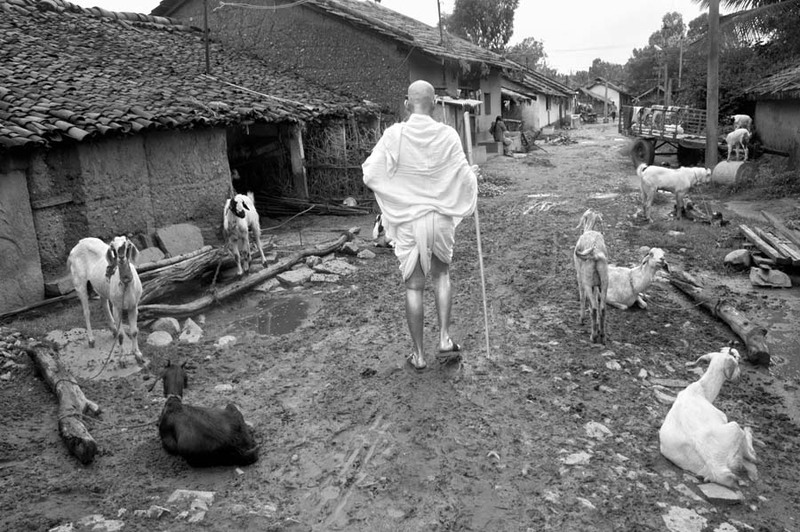 The project ‘Being Gandhi’ is a photo documentation of Bagadehalli Basavaraj, a 46 year old teacher from a village in Karnataka. 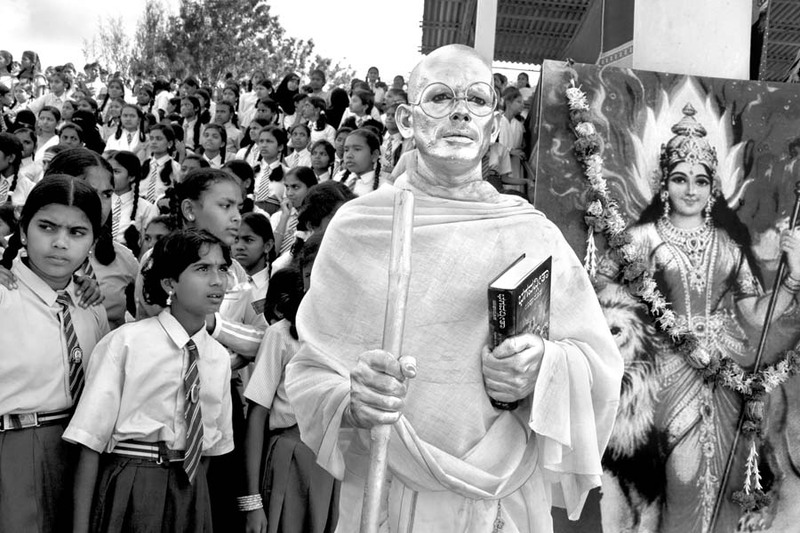 Basavaraj who was drawn to Gandhi’s principles early in life led him to emulate Gandhi in an attempt to advocate his theories and philosophies. 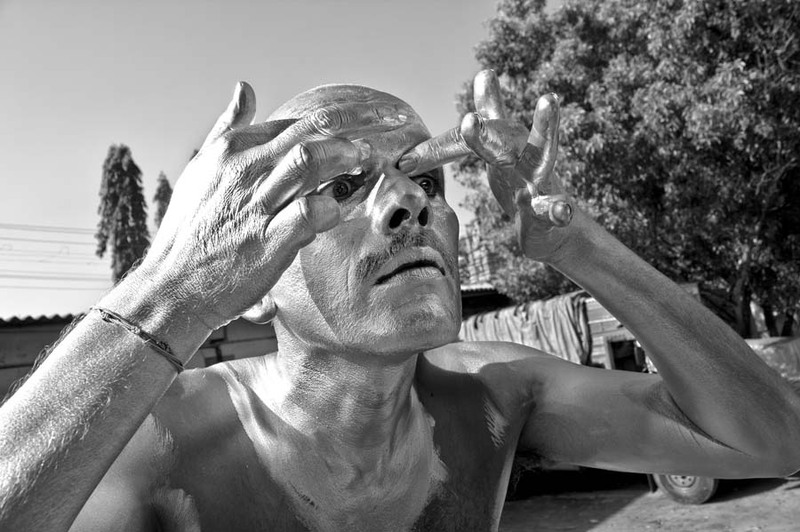 For this purpose he took to a visually stunning act that he has maintained for the last 14 years. 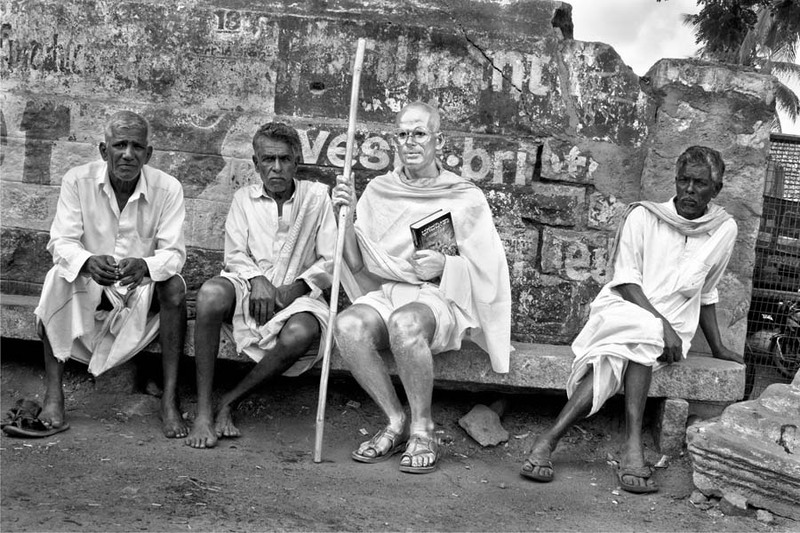 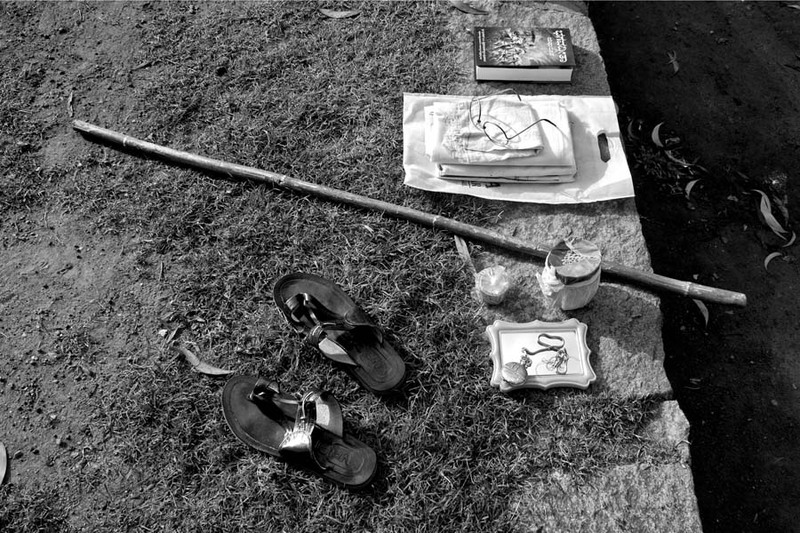 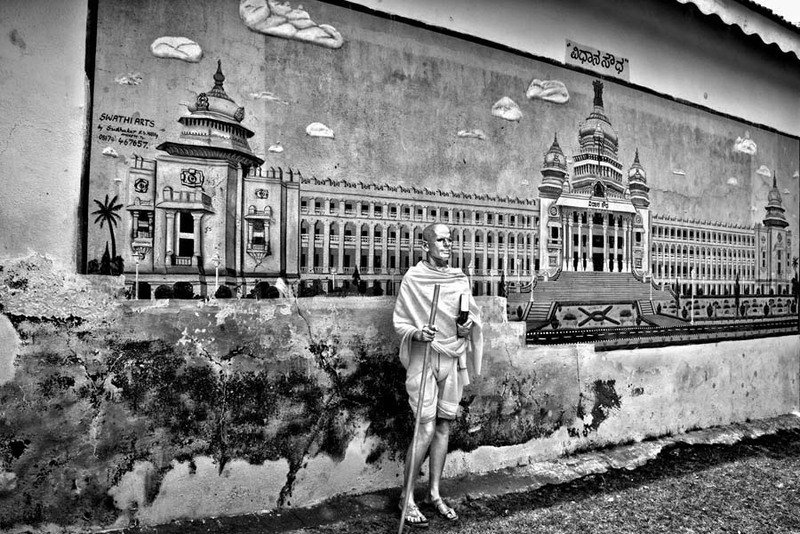 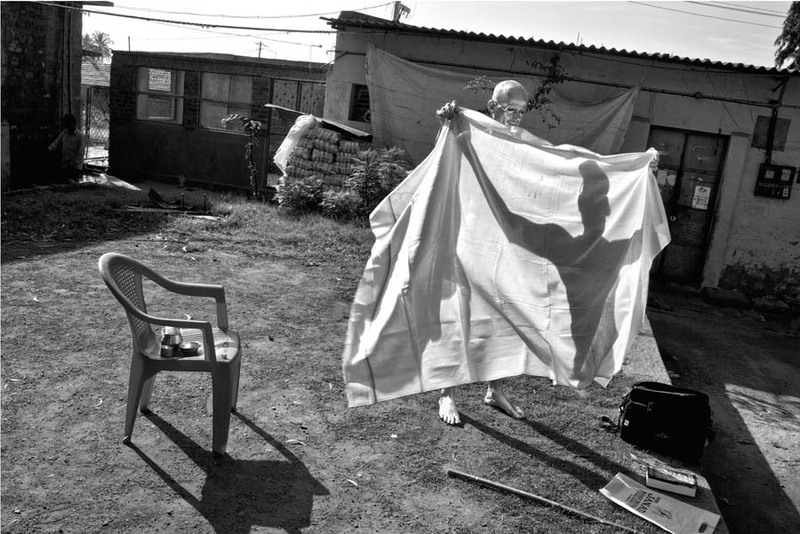 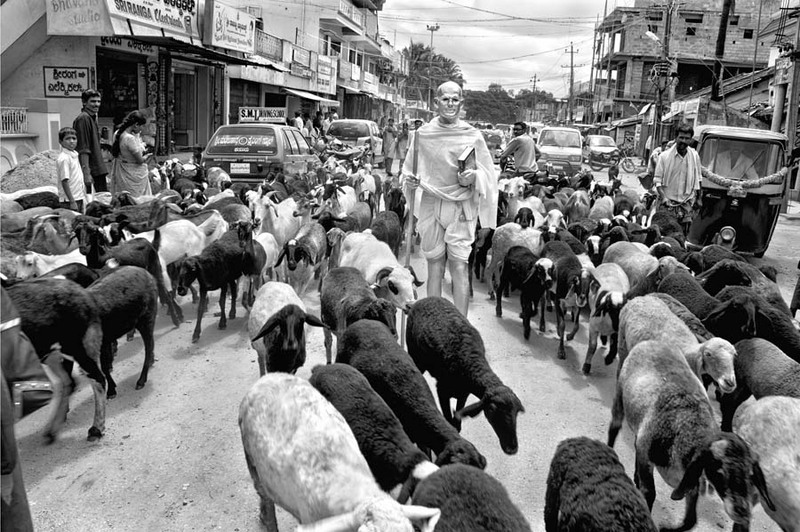 He covers himself in silver paint, dresses like Gandhi and walks around the streets of villages and nearby cities. 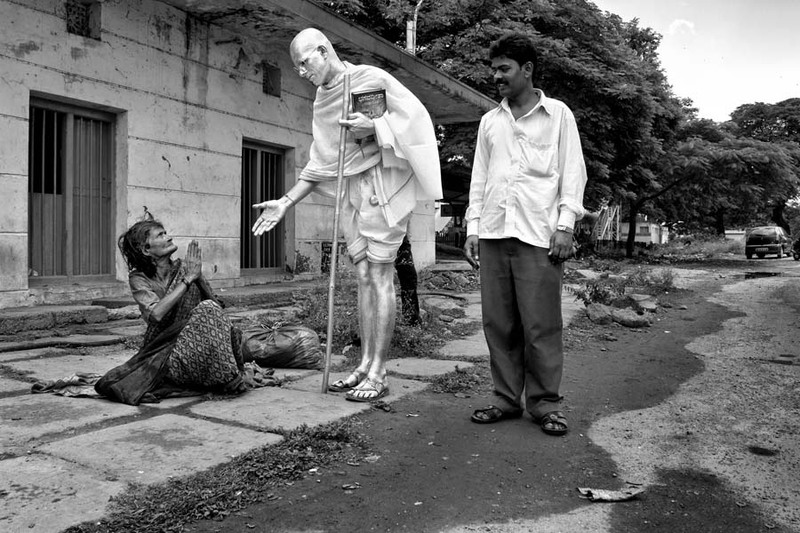 There have also been instances where he stands still for hours on end as a statue. 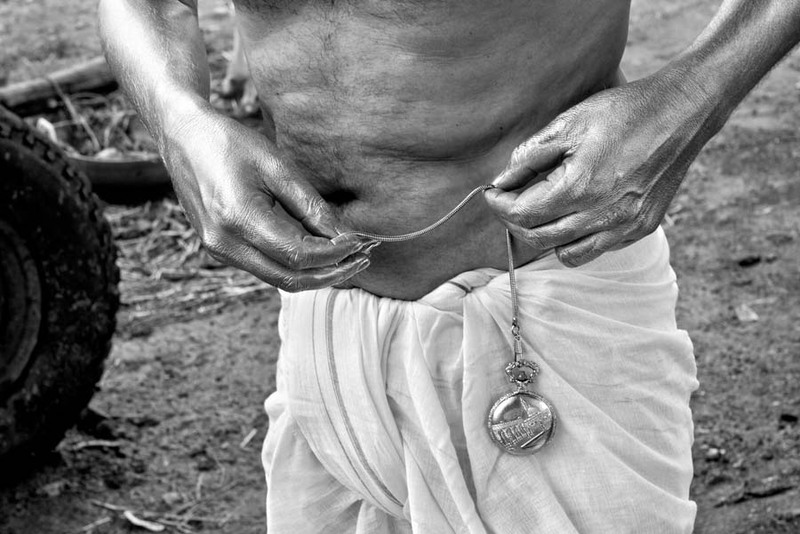 With my documentation of his performance, I attempt to bring his questions and issues of sustained Gandhism to a wider audience and also to present it in a contemporary global context.